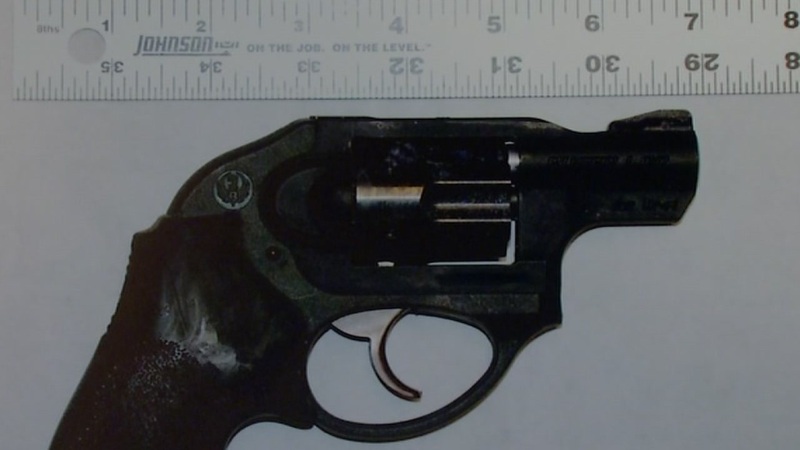 SAN FRANCISCO (KGO) -- For the first time, police are releasing an image of the gun a man is accused of firing at a San Francisco police officer, injuring him in the head. SFPD made a picture public Thursday night at a community meeting. Officer Kevin Downs was moved into a physical therapy facility Thursday. He's only in his twenties and is still paralyzed in his right leg, but is regaining feeling in his hand. Police say it was a close call last Friday night in a gun battle with a suspect. "The bullet struck his head and fractured his skull and within a centimeter or so of a major artery. Just a fraction of an inch and it could have been a different outcome," said San Francisco police Sgt. Michael Andraychak. A hundred local residents came to express their sympathy at a town hall meeting. "I feel very heartbroken for Taraval police and we'd like to know what to do for officer Downs, cards, money, whatever," said San Francisco resident Mary Harris. The shooting unfolded after a 911 call for help last Friday evening described a mentally ill suspect threatening customers at a shopping center. Police say pepper spray did not deter him. He opened fire on police and ran into Stern Grove Park. "As officers were out there on the perimeter, he came out of the bushes firing on the officers. They returned fire. A gunfight ensued and the subject went down," Andraychak said. Police fired 21 bullets at 26-year-old Nicholas McWherter. He was struck by at least four rounds and died. He was armed with the revolver. "We're working in collaboration with DPH. They're hiring additional staff to provide 24/7 on call folks to respond to scenes where we have people in crisis that may be armed," said San Francisco Interim Police Chief Toney Chaplin. Police admitted that wouldn't have helped in this confrontation. The community seemed grateful for the open dialogue about another police shooting.